New dates for bespoke driver training for YFC members have been released for 2013 and Young Farmers are being encouraged to book early to avoid disappointment. Practical driver training courses are being offered at half price (£45 instead of £99) as part of the Drive It Home campaign, supported by NFU Mutual, and are being issued on a first come first served basis. There are also new dates for seven Area courses in exciting locations throughout the UK, where members can attend a Brake 2young2die course for free with fellow members and become a Drive it Home Champion. The courses have been paid for by NFU Mutual and the Rural Youth Trust and locations include Adam Henson’s Cotswold Farm Park, Farmers Weekly and Jimmy Doherty’s farm in Suffolk. Details of both opportunities are below. The practical driver training is run by enthusiastic and professional young racing drivers at Drive Doctors to give you the skills and confidence to know what to do in a difficult road situation and try to avoid it in the first place. 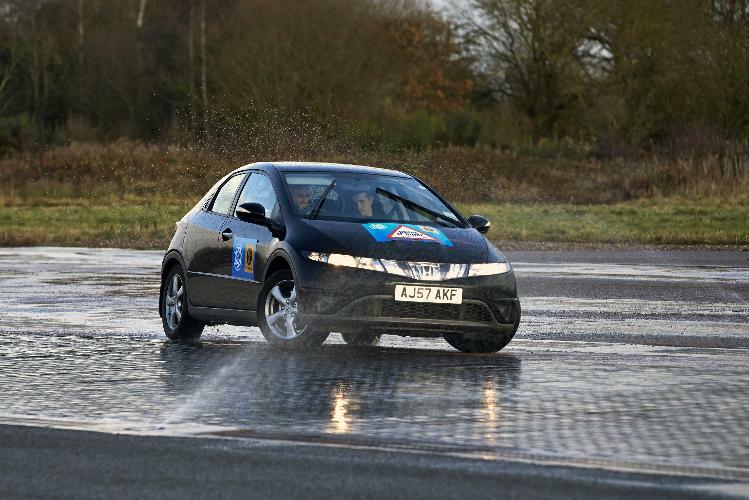 Prices are only £45 (RRP £99) and the afternoon sessions are delivered at the ProDrive Centre in Kenilworth, where there is a professional road track and off-road section. ProDrive regularly hosts motorsport race and rally programmes and is one of the world’s leading motorsport businesses. To book a place contact christina.evans@nfyfc.org.uk. 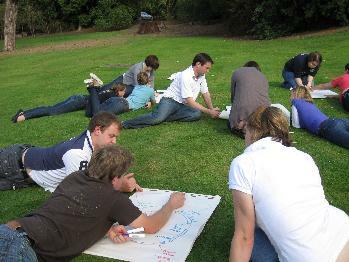 NFYFC has arranged seven bespoke Area courses for YFC members throughout the year. These courses are FREE thanks to sponsorship from NFU Mutual and the Rural Youth Trust and are aimed at changing your attitude to driving and enable you to deliver your own road safety training in clubs and counties. Only a minimum of 25 people can attend each course so don’t miss out on your free place. A location for the Northern Area is still be confirmed. A new Trainers Forum is launching in April to offer extra support and guidance for anyone who delivers training in their county. The new Forum, which is being supported by the Personal Development Steering Group, will meet twice a year to share best practice and help shape the future of National training. Anyone who has previously been on NFYFC’s Train the Trainer or Advanced Trainer the Trainer courses or has been on your own county’s Training Techniques course is being encouraged to join the group. The Forum is aimed at helping trainers to further enhance their personal development and most importantly be part of future training initatives. The first full day meeting will be held near Swindon, Wiltshire on the 14 April 2013 and a Northern event will be held on 19 May 2013 in Knaresborough, Yorkshire (to be confirmed). Both free events will include extra training to help improve your skills. 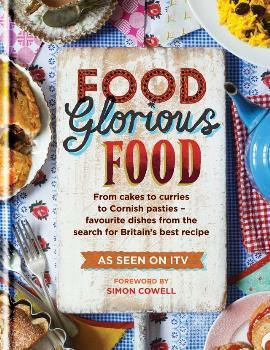 NFYFC’s very own cookery goddess, National Chairman Milly Wastie, is set to appear in Simon Cowell’s latest hit show, Food Glorious Food. The show, presented by Carol Vorderman, celebrates the best of British home cooking and tells the stories behind the contestant’s dishes and how they have become so special. The winner will receive £20,000 and their recipe on the shelves of Marks & Spencers. Milly rustled-up a tasty sounding Cheesy Meatball Pasta in her bid to win the prize, a dish she often makes for her boyfriend after a hard day’s farming. She used beef from the farm, as well as vegetables from her father’s allotment. Food Glorious Food is on Wednesdays at 8pm on ITV, keep an eye on the NFYFC twitter feed to find out which episode Milly will appear on. 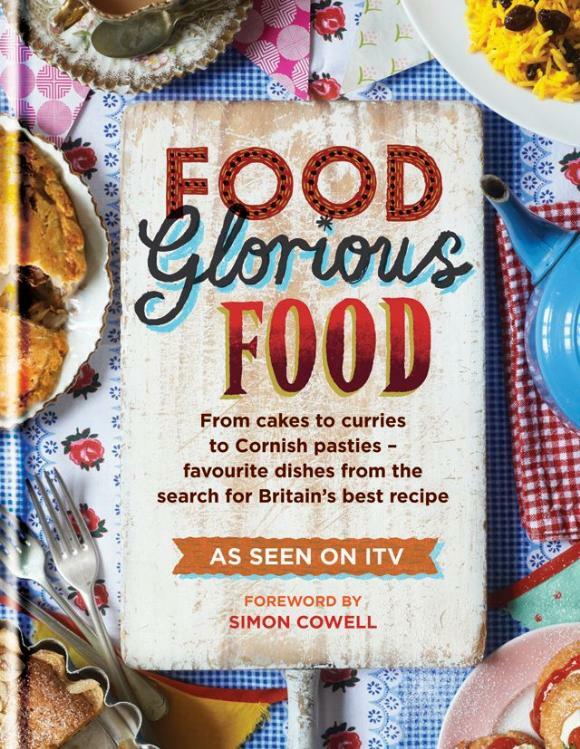 To celebrate Milly’s appearance on the show, we have a copy of the Food Glorious Food recipe book to give away to one lucky YFC member, which includes Milly’s own recipe. To enter the competition, just tell us what is the theme of NFYFC’s cookery competition in 2013? Please send answers to magazine@nfyfc.org.uk or tweet your answer to @NFYFC using #bookcomp before the closing date of Fri 15 March 2013. A winner will be drawn at random. A recent study by NFYFC reveals the need for a service to match young farmers with farming opportunities. The report highlights that there is currently no central marketplace for either young farmers to advertise their skills and their business ambitions or for existing farmers and landowners to promote opportunities. Industry bodies were strongly in favour of the creation of a matching service to encourage new entrants into the sector, the report found. The NFYFC is now calling on key industry membership organisations to play their part in making the farming opportunity matching service happen. 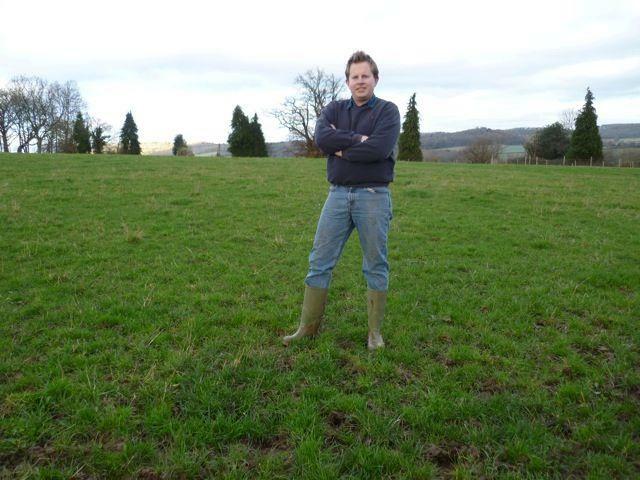 The feasibility study, which was funded by Defra, and carried out by Dr Steve Webster, interviewed members of Young Farmers’ Clubs, farming organisations, farmers and members of allied industries. The report is very timely as it links in with the industry led Future of Farming Review to look at the challenges and opportunities for young people working in the agricultural industry. New opportunities for farming depend on an innovative approach from industry, trade organisations, farmers and landowners as well as business development advisors. The matching of regional, technical and business support to a central system was also seen as critical to the success of the Matching Service. One of the key questions that arose from the study was whether the culture of farming could be changed to adopt such a scheme. “At a time when the Government is carrying out a Review into the future of farming, it is clear that a Farming Opportunity Matching Service needs to be considered. “It is impressive that the NFYFC has instigated this study into a Matching Service. Preliminary findings show that the industry would welcome such a scheme. It now needs the support of key industry bodies to help deliver it. Young Farmers in the South West are set to face two gruelling challenges in the hope of raising thousands of pounds for local Air Ambulance organisations. Members from Somerset FYFC and Wiltshire FYFC are planning to reach the YFC South West Area weekend in Weymouth in style, and possibly with a few sore legs. Friends Abbie Myers, from Polden Hills YFC, and Katie Nicholls from Wedmore YFC in Somerset, will be running the 50 miles from Street to Weymouth in two and a half days – that’s nearly two marathons back to back! 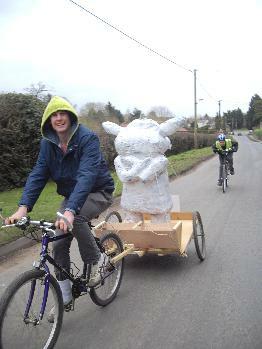 Their route will take them to Sherbourne and Dorchester, before reaching Weymouth on 8th March. Meanwhile, in Wiltshire, 26 Malmesbury YFC members will be harnessing the power of the pedal to propel themselves the 120 miles from Malmesbury to Weymouth, through the Wiltshire and Dorset countryside. But to make things a little more difficult, they plan to pull a nearly life-sized model cow, use an array of old and new bicycles, including a Penny Farthing, and even do part of the route in fancy dress! 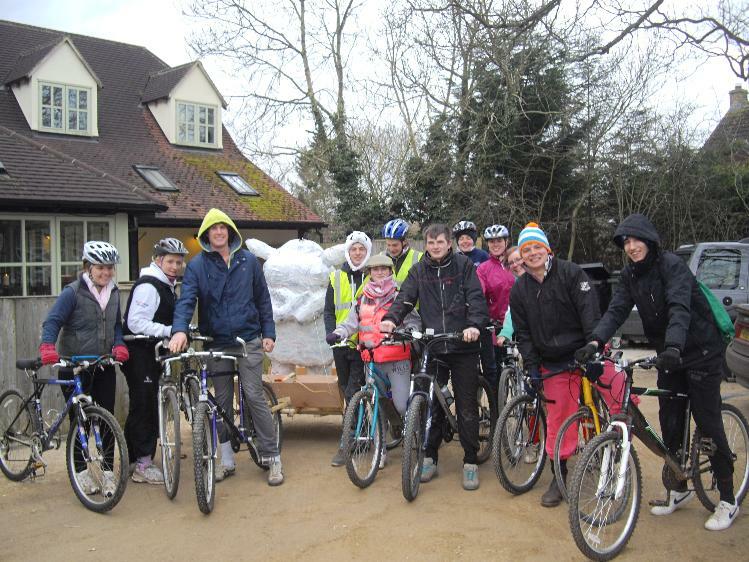 The bike ride is part of the Club’s 80th anniversary celebrations, and they want to raise £500 for Wiltshire Air Ambulance and The British Heart Foundation. The YFC competition season is well and truly here, with clubs across the country training hard to become the next Public Speaking champion or Member of the Year. With county, area and regional rounds, there are plenty of chances for even the smallest clubs to show off their skills in a variety of competitions, from ballroom dancing to public speaking. The regional and national finals are a fantastic opportunity to see the cream of the YFC crop displaying their talents, and never fail to impress. Tickets are available for the regional and national finals of this year’s YFC drama competition from the NFYFC office, contact Margaret Bennett on Margaret.bennett@nfyfc.org.uk or 02476 857216. • Northern Area Drama Final – Sunday 24th March, 2pm, The Majestic Theatre, Retford. Tickets are £10 for adults and £5 for concessions. • Southern Area Drama Final – Sunday 7th April, 2pm, The Bacon Theatre, Cheltenham. Tickets are £10 for adults and £5 for concessions. 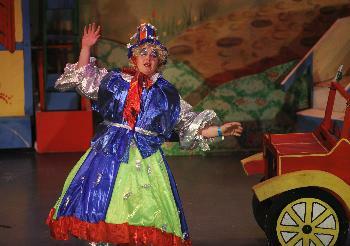 • NFYFC Drama Final – Saturday 4th May, Blackpool. Tickets are £10 for adults and £5 for concessions. As well as the drama finals, NFYFC’s Annual Convention in Blackpool will also be the location for the cheerleading and ballroom dancing competition finals. If last year’s dance competition finals were anything to go by, the atmosphere is set to be electric. Both of these competitions will take place on Sunday 5th May. For all the details on national competition finals taking place at Annual Convention and Competitions Day on 6th July, check out our competitions calendar.